Are new people joining? 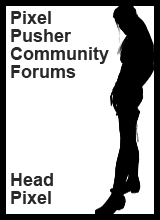 or has the forum gone dead? We have on average 1.5 new users that join every day. The majority are already established creators. I personally am happy with our growth. Quality over quantity is fine in my book. that said all levels are more than welcome here so if you are lurking and are feeling a bit intimated by the talent here don't be. We are all a real friendly group and remember what it was like to be overwhelmed in a new hobby so feel free to ask away! Maybe we can do a general creator discussion topic every few days just to get more posting. Thoughts??? Thanks for the info. I agree quality of quantity is better. I guess I was just worried that the forums were dying because of the lack of activity. I try to help recruit new members whenever I get the chance. I understand and know how difficult it is keeping up with a forum. 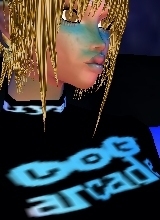 IMVU is just one of many things most of us do in our spare time. I agree with the whole lurker thing. I end up sending people to the guides here pretty often. It has made my life sooo much easier. I klike being able to help people, but I get asked the same questions a lot. With the weather getting nice in some parts of the world which maybe the majority of users here . A million and one reasons really , the advice I'd give there is you make the fun in your life by choice of involvement or not . met with response but the more you get involved not only posting publicly here but talking to the other users . . Adding them as friends , messaging here or on imvu or even searching them out once added into imvu and getting to see new rooms and the lives of those creators . I'd guess at this point there are always some Pixel Pusher members online in IMVU that'll be there to talk to ifso and inclined to when we run out of things to say on this forum . I agree, i personally just have nothing to ask so i dont log in very often, just all few Weeks. Like you said the majority of us are People who dev for Years and there is just missing the big amount of newcomers like we had them in the old official Forums daily. 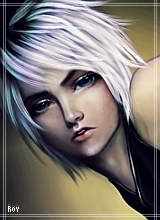 I dont look at Discussions@imvu at all and when ever i have something to find out i will use Pixelpusher.